We, the undersigned Members of the European Parliament, condemn the raids on homes and arbitrary arrest of human and democratic rights activists across India, on August 28, 2018. Amongst the people raided are Anand Teltumbde, Stan Swamy, Kranti Teluka and Prof K Satyanarayana. 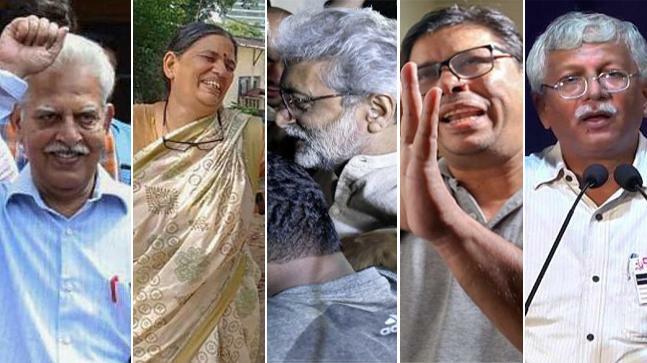 But the raids also included Arun Ferreira, Sudha Bharadwaj, Varavara Rao, Gautam Navlakha and Vernon Gonsalves, all five are now under arrest charged under one of the most draconian law: the UAPA, Unlawful Activity Prevention Act. This is one of the most barbaric laws, copied from the colonial law book, which allows an indefinite detention (arrest) of any citizen the Government suspects of having an intent to commit a crime against the State. These raids and arrests are the follow up of the arbitrary arrests, a few months ago, of Sudhir Dhawale, Adv Surendra Gadling, Prof Shoma Sen, Mahesh Raut and Rona Wilson. These five are lawyers, journalists and human rights activists who have been implicated in totally fabricated charges of organizing the violence in Bhima Koregaon at the beginning of this year. The Indian Government adds these most recent raids and arrests to the continuous and relentless repression on the democratic voice and aspirations of the Indian. This amounts to a very serious attack on the already crumbling state of democracy in India. During the current European Parliament term, two written questions have been addressed to the European Commission regarding one of the most painful cases: the situation of the Indian teacher GN Saibaba. He has a 90% physical disability, aggravated in recent months with acute pancreatitis, and it was recommended the removal of his gallbladder. Because of this, this life imprisonment sentence is actually a death sentence for this professor, who has done nothing but defend the rights of the Adivasis and Dalits people with words, as well as denounce the counterinsurgency strategy Operaon Green Hunt. How can the European Commission have contacts and agreements with a Government that defends that there are first and second class humans, indiscriminately kills the Adivasis, Dalits and religious minorities population and imprisons human rights activists? We urge for the cancellation of all the agreements with the Indian government until the human rights activists are released and the hunt against the Adivasi peoples, Dalits, religious minorities population and Kashmir, Manipuri people is stopped. We also demand the immediate release of Prof. GN Saibaba, Varavara Rao, Gautam Navlakha, Vernon Gonsalves, Arun Ferreira, Surendra Gadling, Prof Shoma Sen, Sudhir Dhawle, Rona Wilson, Mahesh Raut, Sudha Bharadwaj and all human rights defenders in India. Even after decades of ending colonial rule, the EU still thinks it rules the Developing countries. Where are these condemnations when President Trump started detaining and separating kids from their parents of illegal immigrants, at US borders? SHAME on the EU.